The U.K. drinks scene is continuing its love affair with sparkling sake, thanks to the wide-ranging appeal and versatility of this fantastic fizz. Leading the market is Shirakabegura Mio Sparkling Sake – Mio for short – which is a softly acidic and deliciously refreshing sake with subtle fruit notes. Mio is low in alcohol, at just 5% ABV, and has no added sugar or sweetener. Instead, Mio’s sweetness is 100% natural, the result of a careful fermentation process. All this makes Mio a great all-rounder: a brilliant aperitif that also goes well with salty and bold starters and is just as happy rounding off a meal when served alongside fresh fruit or zesty sorbets. Not to mention its versatility in sake cocktails, too. Cut the pear into 12 wedges and core. Toss with lemon juice to keep from browning. 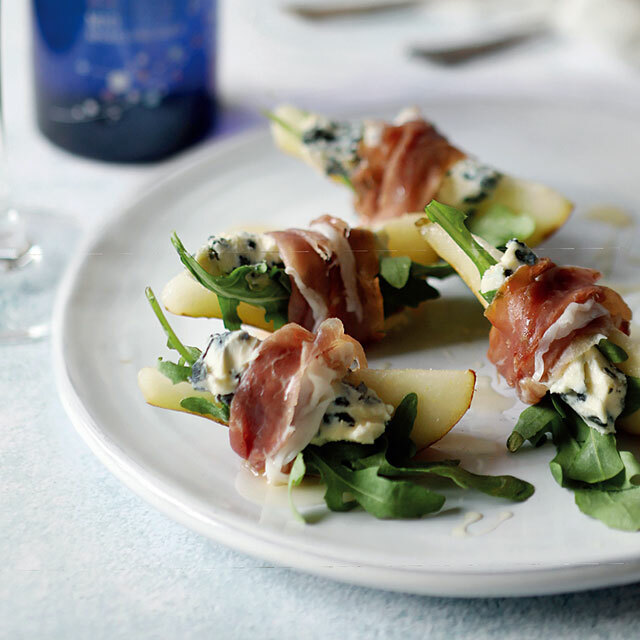 Assemble a piece of blue cheese and a couple of rocket leaves on top of each piece of pear, and wrap with a half slice of prosciutto. Shirakabegura Mio Sparkling Sake is the perfect bubbly to enjoy with a fresh and fruity dessert. 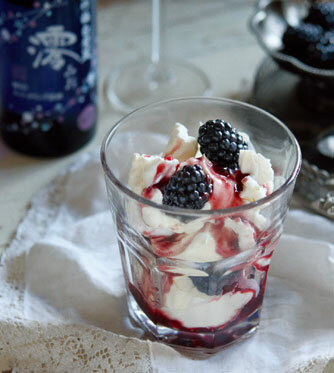 Try with this simply sensational Blackberry Eton Mess for a sparkling summery treat. Add 200g blackberries, 40g caster sugar, 1 tbsp lemon juice, and 80ml water to a pan, bring to the boil, simmer on low until the fruit is soft, then blitz in a blender and strain. Whip 400ml double cream to soft peaks. Break 4 meringue nests into pieces. Divide 200g fresh blackberries among 4 glasses, then layer up with meringue pieces, blackberry purée, and double cream. 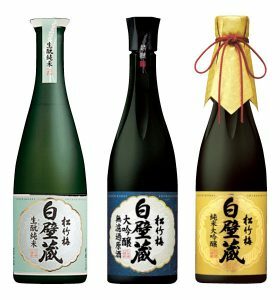 Other premium sake: Kimoto Junmai is brewed through a traditional labourintensive technique, known as kimoto, which makes this sake complex, with a fragrant and melon-rich nose that develops into a soft and medium bodied palate with a good balance of acidity. Daiginjo Muroka Genshu is a non-charcoal filtered daiginjo brewed at a cool temperature, with hints of apple and a smooth flavour. Junmai Daiginjo is a flagship product that has an exceptionally delicate ginjo aroma with a mellow banana note and a crisp finish. Available at Marks & Spencer, Japan Centre, Rice Wine Shop, Hedonism Wines. Also available at various Japanese restaurants and grocery stores.